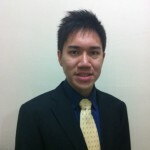 LYT Technologies & Consulting Co.
Hi, I’m Stephen Leung – a Digital Marketer and Web Entrepreneur in Hong Kong. Welcome to my blog! I’m a digital marketer, web entrepreneur and consultant with 4+ years background in marketing, sales, management, and development of web and mobile software applications. My strength is understanding how to leverage web and mobile technology to solve business problems and increase business results. My expertise include online marketing, web analytics, conversion optimization, search engine optimization (SEO), website and mobile applications development, etc. If you want to learn more about how to get more business from online, and increase your business results, please check out my “Digital Marketing Tips” blog on things you can implement for your business. If you want to have me help you identify opportunities in your business where technology and online marketing can help, I offer consultation services, please contact me to discuss more. If you are looking for a technical business partner for a new product idea, a problem you think technology and software products can help solve, please contact me to discuss potential partnership opportunities.